Not many people know that you can view art at airports, but now that you do, we suggest you seek out these special exhibitions when you’re in San Francisco, San Diego, and a few other cities. Art at airports is gaining popularity because airport planners want to keep passengers happy and satisfied – particularly in times when there may be a long wait for a flight. Most flights take off and arrive on time, but are usually some travelers who are left stranded at airports – due to bad weather, missed flights, airline mix-ups. Sometimes, passengers just arrive at the airport really early, because they want to make sure they have time to get through security. Whatever the reason you may find yourself with an hour or longer to kill at the airports we’ve listed below – and many others in the United States – viewing art at airports can be a wonderful way to pass time and actually enjoy yourself. Art at airports provides meaningful experiences for air travelers with at least a half an hour on their hands. Denver International Airport is considered to have one of the most outstanding collections of public art in the country, so if you’re flying in or out of this airport, we recommend you check out its incredible artistic offerings. New York’s John F. Kennedy International Airport also features outstanding art. An an incredible piece by Dimitar Lukanov, called Outside Time, is the first work in a 3-piece commission for JFK by the Brooklyn artist and it’s absolutely stunning. These 2 airports are just a couple of the airports in the U.S. with public art displays. San Francisco International Airport (SFO) – San Francisco International Airport offers its passengers many world-class facilities and services, including art at the airport. As part of the airport’s goal in providing a quality and enjoyable experience for its travelers, SFO incorporates art throughout most of its terminals. The people in charge of the art at San Francisco International Airport hope to foster an environment that is educational and entertaining. Art at SFO comes from 2 programs: the San Francisco Arts Commission and the SFO Museum. SFO Museum is a division of SFO that presents a rotating series of exhibitions in the terminal galleries – as well as in the Louis A. Turpen Aviation Museum location in the International Terminal and the San Francisco Airport Commission Aviation Library. The San Francisco Arts Commission curates the permanent art collection that you’ll find throughout San Francisco. The San Francisco Arts Commission is an agency of the City and County of San Francisco. San Diego International Airport (SAN) – It formalized its Art Program in 2006 by establishing an Art Program Master Plan. This Plan created policies and guidelines that would enhance customer service by exhibiting artwork – and offering programs – that engage travelers. The innovative art and programs at San Diego International Airport provide memorable, enjoyable experiences for air travelers who find themselves with spare time at the airport. The art displays at SAN help to present an ambiance that is unique to the city – and one that is very welcoming. The Airport Art Master Plan at San Diego International Airport features temporary and rotating exhibits, performance art, and public art that’s on the cutting edge of artistic vision, design, and innovation. 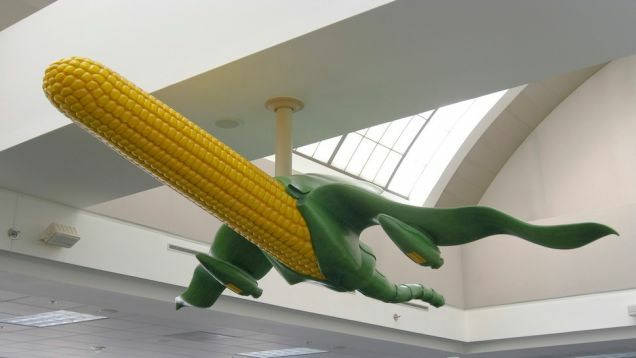 Spokespersons from San Diego International Airport say that the art displays bring “texture and depth to the airport environment” by involving artists in the design and planning of the airport. Philadelphia International Airport (PHL) – It established its art Exhibitions Program in 1998. This visual arts initiative came about from a desire to humanize the Airport environment and offer greater visibility for Philadelphia’s unique culture. Art at airports like PHL enrich the experience of those who travel by presenting intriguing, rotating exhibits throughout the airport’s public spaces. At Philadelphia International Airport, you’ll find art displays that change throughout the year – based on the educational and cultural programs that the Airport wants to highlight. The art Exhibitions Program at PHL gives millions of airport visitors – from around the world – a look at the wide variety of artists and art works from local institutions. Denver International Airport and JFK – To touch a bit more on the artistic offerings at Denver International Airport, we think it’s notable that this airport offers art walking tours for non-ticketed passengers. Those who are waiting for air travelers can enjoy great art too at DEN, such as the conspiracy theory-fueled mural by Leo Tanguma. Other thought-provoking art graces the concourse halls of DEN as well. At JFK, a 30-foot-long sculpture made of steel and aluminum tubing – by artist Dimitar Lukanov – appears to float effortlessly above travelers waiting for their flight. This amazing work – found in Terminal 4 – seems to provide a bit of calm for those stuck on the ground hoping to board their plane soon.